One of the best things about Idaho, particularly the Treasure Valley, is how many surprises it still holds, even for longtime residents. A great example is the quality, variety, innovation, and most importantly, deliciousness of the cuisine supported by the Gem State. Part of our state’s reason for culinary excellence is likely a result of its diverse history of incomers. Idaho and, again, the Treasure Valley specifically, has hosted large populations of Chinese, Basque, Irish, and Hispanic immigrants (among a number of others). That rich cultural, social, and historical legacy is no doubt responsible for our modern-day community being so receptive to both excellent food and culinary inventiveness. The Treasure Valley is now home to a thriving fusion movement and some of the most exciting examples of it are Asian fusion restaurants. It’s why the prospect of looking for the best sushi Meridian Idaho offers is now not only reasonable but will also yield some incredibly rewarding examples. The following represent some of the examples of sushi fusion varieties found at Ling & Louie’s Asian Bar and Grill, just one of the fusion contributors to the Treasure Valley. Fresh hamachi, Pacific yellow tail tuna, is perfectly traditional, and delicious, sushi fare. But when hamachi is layered with jalapeño and topped with avocado, spicy aioli, cilantro, and lime zest to accentuate and complete the roll, it becomes the Bit O’ Mexico—and it’s anything but ordinary. While engaging in the recent culinary cliché of declaring that bacon is the end-all-be-all pinnacle of all food experienced by humankind might be going a little overboard, there’s a good reason that cliché exists: Bacon is really good. And it turns out that applies to bacon on sushi too. When savory Applewood bacon is rolled with cucumber and avocado before being topped with fresh ahi and tempura flakes and finished with spicy mayo and eel sauce with a cilantro garnish you can expect some truly next-level sushi. If you’re looking for places to eat in Meridian, find the one offering The Baconator. When discussing delicious foods (particularly those beginning with “B”) like bacon that work well with sushi, we’d be remiss to leave out barbeque. And while barbeque isn’t unknown in Asian cuisine, it’s less common in sushi. Enter a freshwater BBQ eel roll with ebi, avocado, and red bell pepper, further enhanced by deep sea crab, eel sauce, and citrus aioli and you’re faced with The Caterpillar. Looking for a delicious dining experience in the Treasure Valley? Try Ling & Louie’s Asian Bar and Grill in Meridian for an incredible fusion of classic American comfort food and innovative Asian fare. It’s emerged as one of the Treasure Valley’s most popular places to relax, unwind, and enjoy the best sushi Eagle Idaho and Meridian have to offer. The bar and grill also offers great drinks, including specialty cocktails, plus delicious appetizers. For workday lunch meetings or an amazing night out with friends, Ling & Louie’s Asian Bar and Grill will be your go-to destination. There’s never a bad time of year to visit or live in the Treasure Valley. However, there’s something particularly magical and unforgettable about the spring. The weather is warming up with the sun’s return, both of which are encouraging the Treasure Valley’s green and colorful flora into making an appearance. And as pleasant as all of that is on its own, even better is that it means the return of warmer weather outings and events. Whether you’re visiting for the first time or are a long-time Treasure Valley resident who may have forgotten or overlooked the area’s unique draws, the following are just a few of the incredible experiences awaiting those lucky enough to be here in the spring. Before you embark on any of your Treasure Valley spring adventures, it makes sense to fill up first with some quality fare. Well, you’re in the right place for it. 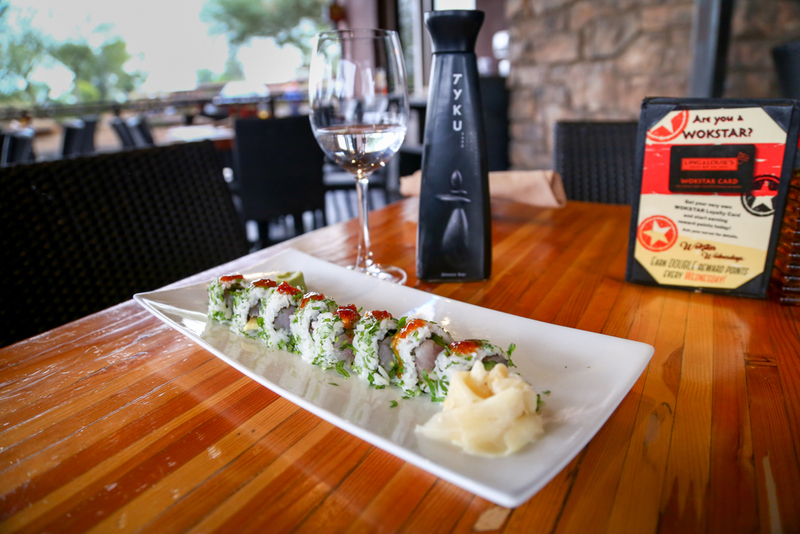 Whether it’s the terrific sushi Eagle Idaho is becoming increasingly known for or Basque fare in Boise, prepare for your outing with something satisfying and delicious. Chances are, when considering the best ways to fill a beautiful spring day in the Gem State, “hang out at the state penitentiary” isn’t at the top of the list. But maybe it should be. The Old Idaho Penitentiary is actually an incredibly fascinating bit of Idaho history. Along with self-guided tours of the indoor execution scaffold and solitary confinement cells, the Old Pen offers guided programs like cemetery tours, scavenger hunts, paranormal investigations, and more. Among all of the other amazing ways in which the Treasure Valley offers so much to its visitors, residents, and the world beyond, is the World Center for Birds of Prey. Founded by the Peregrine Fundin 1984, the World Center for Birds of Prey is a well-known center for the scientific study, conservation of, and advocacy for endangered raptors around the world.And they allow visitors! They offer group tours, live raptor presentations, wild raptor trail hikes, fascinating exhibits, and more. After you’ve made the most of a glorious spring day in the Treasure Valley, and perhaps strolled along the Boise River Greenbelt, there’s not a much better way to end the day than by enjoying a drink. The options for a good cocktail in the Treasure Valley are copious. Whether you enjoy a happy hour Meridian hosts for visitors and locals or would like to enjoy a microbrew at home with friends, you’ll never see spring days the same way again. Looking for a delicious dining experience in the Treasure Valley? 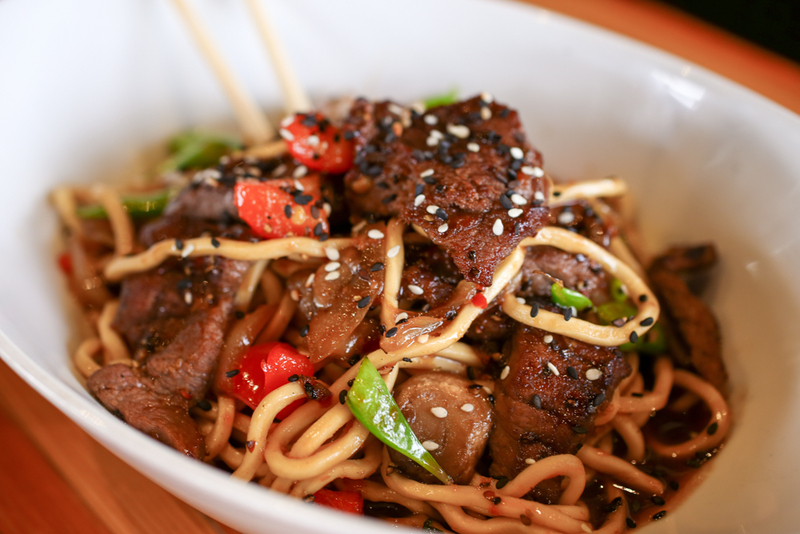 Try Ling & Louie’s Asian Bar and Grill in Meridian for an incredible fusion of classic American comfort food and innovative Asianfare. It’s emerged as one of the Treasure Valley’s most popular places to relax, unwind, and enjoy a full menu of fresh and exotic dishes, plus time-tested favorites. Ling & Louie’s Asian Bar and Grill is likewise the best spot for happy hour in Eagle ID and Meridian, offering great drinks, including specialty cocktails, complemented by appetizers and sushi, all at a terrific price. For workday lunch meetings or an amazing night out with friends, Ling & Louie’s Asian Bar and Grill will be your go-to destination. Wasabi is a staple at any restaurant serving sushi in Meridian Idaho—or any sushi restaurant in the world for that matter. It adds a kick and a unique flavor that some people crave while others tend to steer clear of it. Whichever camp you belong to, let’s take a closer look at this sushi bar essential. Wasabi is a Japanese horseradish and root vegetable most famously consumed in its grated form as a green paste. The taste is often compared to spicy mustard or American horseradish, and surprisingly it stimulates the nose and nasal passages more than it does the mouth and tongue for a unique sensory experience. Wasabi is served in a few different forms, most notably as a paste, which has a more similar flavor to horseradish.. Also, wasabi comes in a powdered form that has a longer shelf life and is a fantastic ingredient to use as a spice in recipes. Just as people enjoy putting hot sauce on their tacos, many of us are heat-seekers looking to add a kick to any and every dish—and sushi is no exception. What makes wasabi so unique is that it offers more of a hot splash—rather than a creeping burning sensation that overstays its welcome—so you can move onto the other rolls without reaching for a drink to cool off your palate. The most obvious pairing for wasabi is with sushi in Eagle Idaho area. Like peanut butter and jelly, wasabi and raw fish just go hand-in-hand. Beyond sushi, you can enjoy wasabi with a variety of other dishes including soba noodles, ahi poke, or as an ingredient in a salad dressing or sauce. You’ll also find that some Asian fusion restaurants like Ling & Louie’s Asian Bar and Grill in Meridian offer dishes like wasabi mashed potatoes that utilize wasabi as a spice in the recipe to turn something ordinary into something unique. 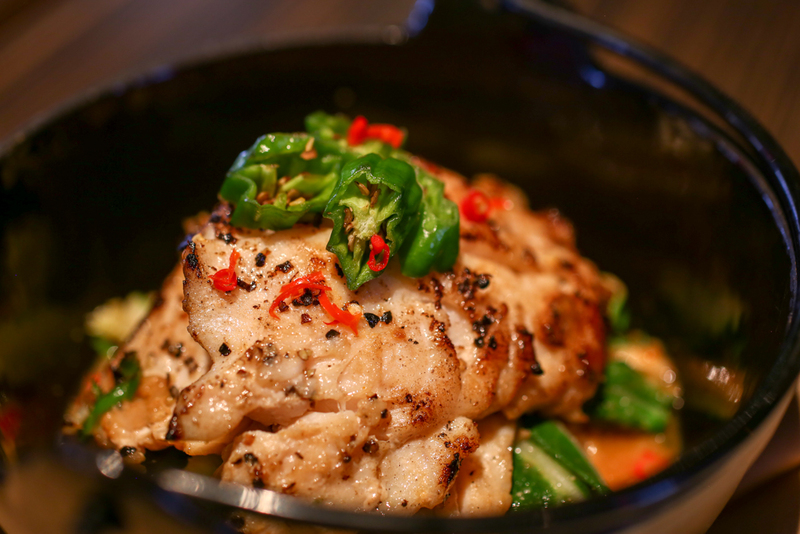 If you're looking for an exciting fusion of American comfort food with an Asian twist, Ling & Louie's Asian Bar and Grill in Meridian is the place to be. The restaurant is the perfect place to relax and unwind with a full menu of fresh and exciting dishes along with some classic favorites. Ling & Louie’s Asian Bar and Grill is also a premier spot for happy hour in Meridian with specialty cocktails and drinks along with appetizers and sushi at affordable prices. 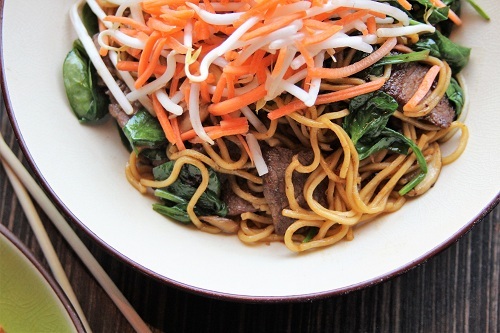 Whether you’re searching for a new lunch spot during the workweek or want to gather your friends for a fun night out, make Ling & Louie's Asian Bar and Grill your destination. Whether it’s a special occasion or just a Friday night, getting out and experiencing the Treasure Valley is a must to relax, unwind, and excite. There is so much to do in Meridian and the surrounding areas during the day, but after the sun sets the city really comes to life. If you’ve been craving a night out on the town, here are a few fun ideas and things to do in the Treasure Valley that you have to try. To start the evening, you should stop by one of the many places for happy hour in Meridian. After a long workweek full of meetings, phone calls, presentations, or whatever your daily stresses include, you deserve some time to unwind. The best part is that at places like Ling & Louie’s Asian Bar and Grill in Meridian, happy hour isn’t limited to just one hour. Enjoy discounted drinks and try a new cocktail (or two) to mix things up while you munch on light appetizers all while enjoying a relaxing atmosphere. Hands down, enjoying happy hour at a local restaurant is a great way to kick off the weekend right or to relax after a long day at work. Although not too out of the ordinary, escaping the hustle and bustle of life for a couple of hours is the perfect way to spend a night out on the town, whether it’s the highlight of the evening or just a stop along the way. The Treasure Valley boasts many movie theaters throughout the area, from immersive IMAX experiences to limited-release indie films to classic flicks downtown. If you’re looking for new releases, you can’t go wrong with the Edwards Boise Downtown in the city. If you’re more in the mood to relive some of your favorite classic films or watch a movie that's been on your list for decades, the historic Egyptian Theater is the place to be. Boise Classic Movies regularly shows classic films there every month. And for independent, foreign, and art films check out The Flicks. Maybe you'd like to try something new to excite and inspire your taste buds, or perhaps it's been too long since you've had your old favorite dish. 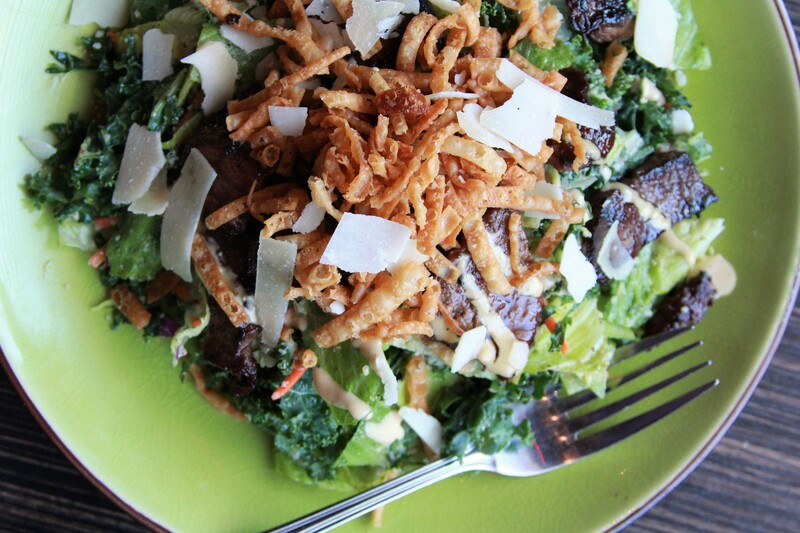 Whatever the case may be, there are tons of places to eat in Meridian that are sure to please. From classic American fare to cultural delicacies and exciting Asian fusion flavors, you really can’t go wrong. Get the best of both worlds and find something for everyone by stopping in at Ling & Louie’s Asian Bar and Grill. There you could indulge in some sushi or enjoy a unique spin on a classic favorite—you can even make your own surf and turf. Finally, the Treasure Valley's music scene, from local talent to national touring acts, has grown significantly in recent years. Whether it's a Tuesday or Friday night, walk the streets of downtown Boise, and you're bound to hear music flowing from the entryways of local establishments. Some of the popular music venues in the downtown area include Neurolux, Pengilly’s Saloon, and The Olympic. And of course, there’s also Taco Bell Arena and the Idaho Botanical Garden where the big names play. Whether you’ve bought tickets months in advance or want to see live music on the spur of the moment, follow your ears for a fun night out in Boise. If you're looking for an exciting fusion of American comfort food with an Asian twist, Ling & Louie's Asian Bar and Grill in Meridian is the place to be. The restaurant is the perfect place to relax and unwind with a full menu of fresh and exciting dishes along with some classic favorites. Ling & Louie’s Asian Bar and Grill is also a premier spot for happy hour in Eagle ID area with specialty cocktails and drinks along with appetizers and sushi at affordable prices. 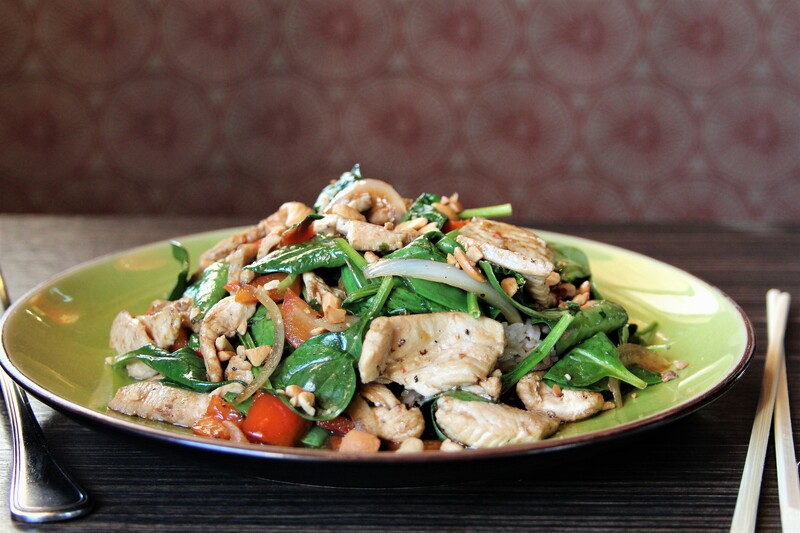 Whether you’re searching for a new lunch spot during the workweek or want to gather your friends for a fun night out, make Ling & Louie's Asian Bar and Grill your destination. Sushi is a staple in Asian cuisine, and there are tons of options for sushi in Meridian Idaho to reflect its universal popularity. Sushi rolls range from simple to extravagant, and fans and enthusiasts around the world crave the signature seafood delicacy. However, because one of the core components of many sushi rolls is raw fish, many people are apprehensive to try the delectable dish. Luckily, you don't need to dive head first into a plate of sashimi to have an enjoyable sushi experience. So, if you've been thinking about trying something from the sushi menu at your favorite Asian fusion restaurant, but are nervous since it's your first time, here are five delicious, classic rolls to introduce yourself to the sushi world. The Philadelphia roll is a classic roll containing only smoked salmon, cucumber, and cream cheese. What makes it a great roll for beginners to start with is the addition of cream cheese, as the creaminess can really help hide any of the fishy flavors that beginners may often want to avoid. Even so, this creamy roll has just the right amount of crunch thanks to the cucumber, and the smokiness of the salmon creates a flavor combination you just have to try. This classic roll is at the top of most people’s list no matter if they’re seasoned sushi eaters or still working toward it. California rolls are a favorite because they typically don’t include raw fish, opting for crab mix instead, and they also have enough rice to cover any of the nori (seaweed) flavor that can usually take some getting used to. With crisp cucumber and smooth avocado, this roll is just as much about the texture as it is about the flavors. When going out for sushi in Eagle Idaho area for the first time, you’d be remiss not to sample the shrimp tempura roll. Chances are you have eaten and enjoyed shrimp before in your life, and this roll is essentially a deep-fried shrimp tempura rolled up with avocado and cucumber for a subtle and familiar flavor. While a go-to for most beginners, seasoned sushi connoisseurs also turn to this roll in-between bites of raw eel or swordfish to cleanse their palate and satisfy their crunchy tempura cravings. Moving forward with rolls without raw seafood, the crab crunch roll features crab mix, cucumber, motoyaki sauce, and eel sauce, all topped off with tempura flakes for an added crunchy component. This is an excellent choice for people who aren't quite ready to venture into raw seafood territory, while the roll’s eel sauce will help expose them to new flavors. Finally, this roll is for those ready to jump right in and eat something raw. 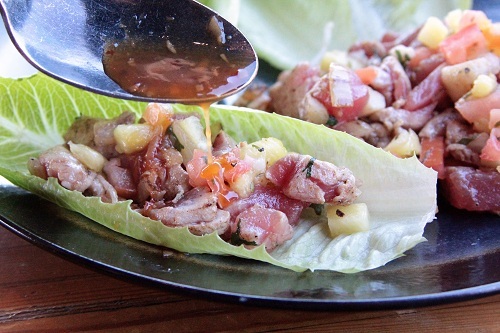 Tuna is a good starting point for trying raw fish because of its mild fishy flavor and superb texture. As the name suggests, the spicy tuna roll also adds a heat component to the mix, thanks to the spicy motoyaki sauce. 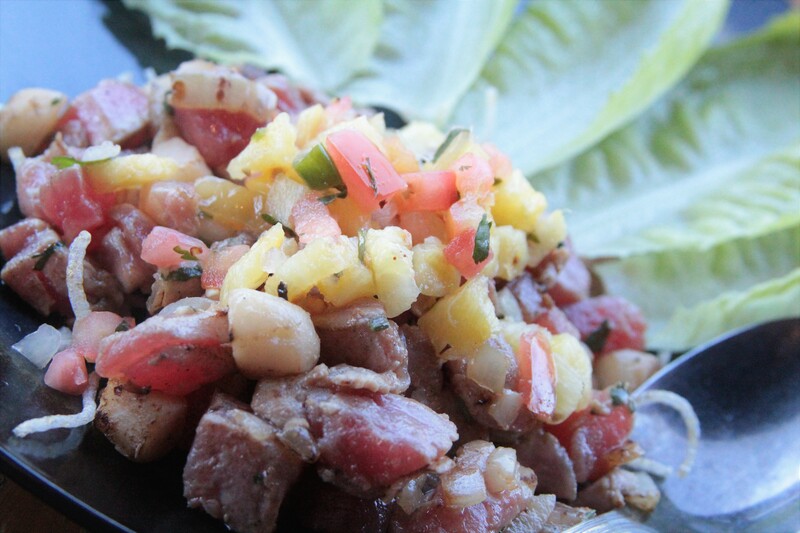 Along with diced tuna, you can expect asparagus to join the party and provide momentary relief from the heat. 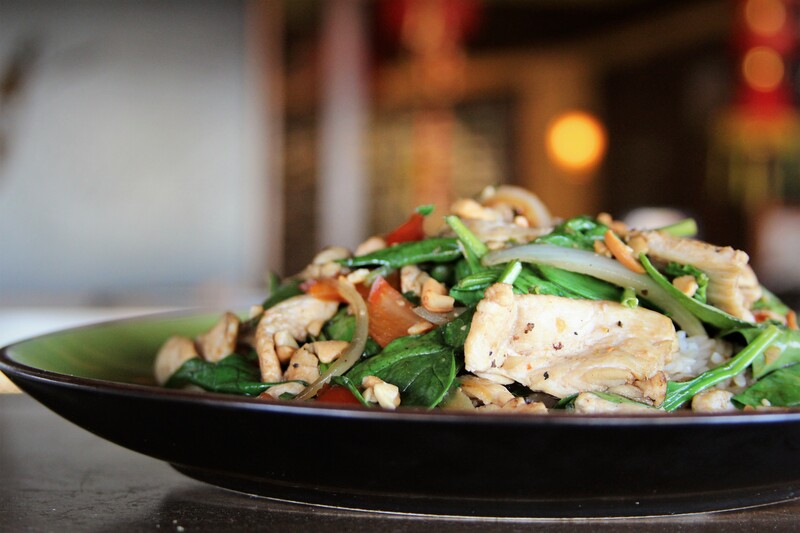 If you crave new and exciting flavors along with a blend of traditional American fare, Ling & Louie’s Asian Bar and Grill in Meridian is your place to be. They offer a variety of different Asian fusion dishes along with new takes on some of your favorite American comfort foods. The vibrant atmosphere is perfect for any occasion, whether it’s date night, a special occasion, or you’re just stopping in for happy hour in Meridian. With their large drink menu and an extensive selection of signature sushi rolls, Ling & Louie's Asian Bar and Grill is the perfect place to have your first sushi experience. For some, winter in the Treasure Valley is their favorite time of the year, while others are happy to stay inside next to the heater and wait it out. Like it or not, spring is just around the corner, which brings warmer temperatures, melting snow, and an extra hour of daylight every evening. Whether you’re clinging on to these last few weeks of winter, or you’re looking for ways to make the days fly by, here are some things to do in and around the Treasure Valley. If you’re a skier, snowboarder, or just enjoy a leisurely ride on a tube, Bogus Basin is likely your second home during the winter. But your second snow-covered mountain home is shutting down soon, however, with Bogus Basin typically calling it a season around April. The good news is—depending on when you're reading this—you may still have a month or two left to shred up the slopes and enjoy the powder. Don't be sad when the snow melts away though—Bogus Basin is open in the summer for all of your mountain biking, hiking, and mountain coaster needs. Idaho is well-known for its extensive network of usable geothermic hot springs spread throughout the state. While these hot springs are accessible year-round in many cases, there's nothing quite like relaxing in a natural steaming pool while icicles hang from nearby trees. Visiting hot springs is really the best of both worlds for snow-lovers and the cold-averse alike. While the winter enthusiasts will enjoy this chance to get outside and enjoy the frigid mountain air, others will have a hard time leaving once they feel the steaming water hit their skin. Whichever camp you belong to, search around to find theone that’s closest to you or make a day trip out of it. Whether you’re not a fan of the cold and need something to warm you up, or you’ve been in the snow all day and are ready to unwind, stopping in for happy hour in Meridian is sure to satisfy. There are tons of different cocktails, wines, beers, and hot drinks to make you feel nice and cozy during these end-of-winter weeks. Stop into your favorite bar and grill or try something new to keep it interesting. Getting all of your friends or family together to celebrate a special occasion or just the end of the workweek is a great activity regardless of the season. It’s also a great opportunity to reminisce on the fun you’ve had during this past winter and make plans for your adventures once the weather warms up. Look for places to eat in Meridian that cater to parties and large groups, and enjoy a nice meal and drinks with some of your favorite people. If you crave new and exciting flavors along with a blend of traditional American fare, Ling & Louie’s Asian Bar and Grill in Meridian is your place to be. They offer a variety of different Asian fusion dishes along with new takes on some of your favorite American comfort foods. The vibrant atmosphere is perfect for any occasion, whether it’s date night, a special occasion, or you’re just stopping in for a happy hour in Eagle ID area. With their large drink menu and an extensive selection of signature sushi rolls, Ling & Louie's Asian Bar and Grill is the perfect place to warm up during these final weeks of winter. It seems like a new sushi spot opens up almost weekly, yet not many stay open over the years. This is because, more so than many other cuisine styles, creating tasty sushi is a delicate art that requires experience, unique knowledge, and creativity. Especially in landlocked Idaho, finding your new favorite sushi restaurant can feel like a struggle. If you’ve been craving a new place to eat sushi but don’t want to blindly try each and every place in town, here are a few things to pay attention to during your search. If the restaurant has a few or all of these qualities, it’s probably a winner. The best sushi in Meridian Idaho will feature high-quality fish sourced responsibly from reputable suppliers. Even though Idaho is landlocked, meaning getting fresh fish caught from the sea is rare, advancements in flash-freezing techniques maintain the quality of the fish even when prepared a few days after. As the old eatery saying goes, “you eat with your eyes first.” The same applies to sushi, as quality sushi rolls should look like works of art rather than be slapped together. Order one roll to start, and if it checks out, then you can confidently move on and order other sushi rolls on the menu. Eating sushi is an experience for many people, and a big part of having an enjoyable experience eating sushi in Eagle Idaho area is the atmosphere of the restaurant. You should feel like you could spend an entire evening in the establishment without feeling too cramped or bothered by excessive bright lights or overly loud music. You’ll find that the best sushi restaurants will have a somewhat intimate setting with sophisticated design elements that enhance the dining experience. It shouldn’t feel like you’re eating in a fast-food restaurant even if the food comes out fast, and you should feel comfortable enough to sit and enjoy for an hour or two. Sushi is a delicate art, and it takes practice and experience to create the perfect roll. Not every short order cook can step up to the sushi bar and start rolling out expertly crafted Double Dragon Rolls. You'll find that many restaurants will list who their sushi chef is if they are proud of the quality of their rolls. If your chosen restaurant doesn’t list this person on their website, you shouldn’t look elsewhere; read online reviews and learn more about the restaurant’s track record for producing high-quality sushi. And, if you find yourself sitting at the sushi bar, don’t be shy—engage with the sushi chefs. Ask anything that you'd like to know about the fish or the rolls, and they should be able to provide recommendations based on your preferences. Every sushi restaurant will likely have a selection of tried-and-true sushi rolls. These often include classic options such as the Boston Roll, California Roll, Philadelphia Roll, and more. You should also browse the menu to see if they offer unique rolls based on in-house recipes. While some options might seem a bit gimmicky (unless a cheeseburger roll sounds great to you), you'll find that an experienced sushi chef will craft signature recipes that balance the ingredients for a unique tasting experience. Look at the restaurant’s menu online before you stop in to see what they have to offer. If you’re looking for a restaurant that offers a quality blend of Asian and American fare, look no further than Ling & Louie’s Asian Bar and Grill in Meridian. There you’ll find an atmosphere perfect for date night, group events, or just a quick bite to eat at lunch along with a full menu of sushi and cocktails that are sure to please. Ling & Louie’s Asian Bar and Grill is also a great place for happy hour in Meridian any time of the year. Although Valentine’s Day is still a few weeks away, it’s never too early to start planning the perfect date night with your sweetheart. Even though it can be easy to overlook this holiday as just a day to buy jewelry, roses, and giant teddy bears, sometimes having an eventful day or evening is all you need to show your Valentine that you care. If you're still unsure what you want to do to make the day extra special, here are a few fun date ideas in the Treasure Valley. Going to happy hour in Meridian is the perfect way to unwind after a long day of work and to prepare for the night’s festivities. There are tons of great choices in the Boise, Meridian, or Eagle area and you'll find that many will offer special Valentine's Day cocktails or happy hours. Explore your options, and even if it means going to the usual spot, relax and unwind and enjoy each other's company this evening. Boise is well-known for its expansive Greenbelt that practically stretches throughout the entire city. It’s a great place to run, walk, bicycle, or ride one of the electric scooters scattered throughout the city. Depending on the weather, you’ll most likely need to bundle up. But regardless of the temps, the scenery is beautiful along many parts of the 25-mile long stretch, and enjoying a trip on the Greenbelt is a perfect way to relax and spend time with your Valentine. We all have our tried-and-true restaurants of choice, but on a special evening like Valentine's Day, consider expanding your taste horizons and look for new places to eat in Meridian. What’s a kind of food that you’ve always wanted to try? Meridian and the rest of the Treasure Valley are full of unique food offerings. In fact, the variety of different cuisines might surprise you. From authentic Basque food to Asian fusion and more, the options are practically endless. If you and your Valentine are active people or are still committed to your New Year’s resolutions, then this event happening during the month of February might be for you. The Run 4 Love 5K and 10K is a virtual race, meaning you can complete it anywhere at any time. The best part is that the funds raised go to support a good cause and at least 15% of all entries will be donated to Heart to Heart International. Do you feel like getting competitive on Valentine's Day? There are several vintage arcades in the Treasure Valley, and it's easy to spend a few hours in each. Most notably, you'll find the Spacebar Arcade in downtown Boise and Grinkers Grand Palace in Eagle. There are several authentic arcade machines in each with the classics that you know and love. The best part is they still cost only a quarter or two to play, making it an affordable and fun way to spend the evening. If you’re looking for a restaurant that offers a quality blend of Asian and American fare, look no further than Ling & Louie’s Asian Bar and Grill in Meridian. There you’ll find an atmosphere perfect for date night, group events, or just a quick bite to eat at lunch along with a full menu of sushi and cocktails that are sure to please. Ling & Louie’s Asian Bar and Grill is also a great place for happy hour in Eagle ID area any time of the year. Although it might not seem like creative cocktails and sushi are the ultimate combination, since many people opt for traditional sake, if you pair your drinks to sushi correctly, you're in for a treat. Just like certain wines go best with specific cuts of meat, or certain beers work well with specific pub grub, sushi and drinks go hand in hand. If you’re struggling to find a drink that goes well with sushi, here are some tips try out the next time you’re eating sushi in Meridian Idaho. One of the reasons that people usually stick with water or the tried and true sake is because they are neutral or mild in flavor, and sake’s lower ABV means it doesn’t clash with the taste of raw fish. The biggest challenge of pairing the right cocktails and other drinks with the right roll is finding a cocktail that isn’t overly sweet or bitter and has flavors that complement the dish rather than overpower it. With this in mind, you have more options than you might think, as long as you know what flavors you’re after. Wine and sushi go together the easiest, and if you know your wines, you shouldn't have a problem pairing them together. Keep in mind that you should choose slightly sweeter wines when eating something spicy, and that the acidity levels of the drink and the food should be similar, along with the weights or textures (light, heavy, full-bodied). If you’re a whiskey lover, you can easily swap out American whiskey for Japanese whisky in your favorite cocktails. Drinks like the Manhattan or the Japanese Highball pair well with fish of the mackerel variety as the whisky will bring out the sweeter flavors of the fish for a smoky, sweet flavor profile. Mixing cocktails with sushi is the trickiest of all the types of drinks on this list. The most significant reason is that there are just countless different drink options and you never know how one will taste compared to the next. Try and keep it simple and choose a drink that isn't super stiff and has a flavor profile that goes well with sushi. When visiting restaurants that offer sushi in Eagle Idaho area, look for cocktails on the menu that feature ginger, a powerful ingredient that can really set off any sushi roll. Look for drinks made with ginger beer or fresh ginger like a Moscow mule, or a ginger-lime margarita. If the restaurant you're going to offers a Japanese beer, you should go for one of those offerings. 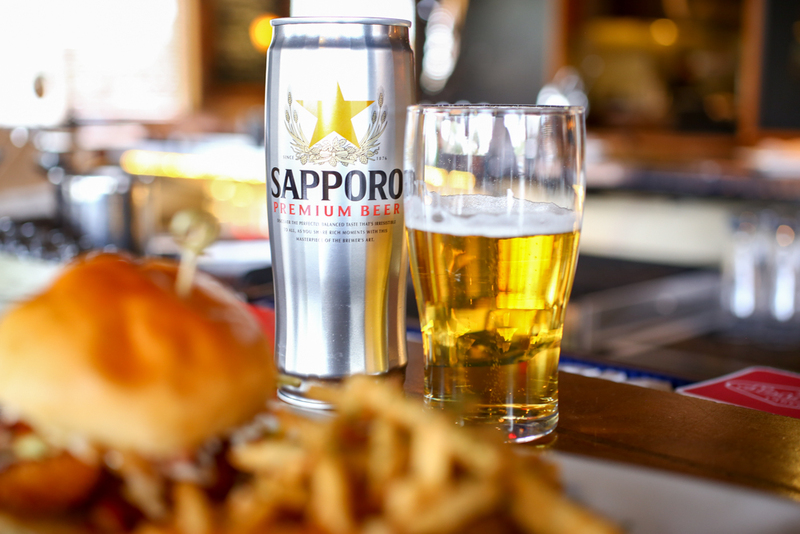 Japanese lagers and other beers often have a flavor profile that pairs very well with most types of sushi rolls and can be a refreshing way to chase down an extra spicy roll. If no Japanese beers are available, then go for a light lager and try to stay away from overly hoppy beers with high ABVs like IPAs. If you aren’t feeling up to trying a new drink during happy hour in Meridian, some other common drinks practically guaranteed to pair well with any sushi roll are champagne and cocktails made with vodka. Both are relatively neutral and won’t clash with your food, so the flavor of the fresh fish can shine through. If you’re in the mood for a fusion of Asian cuisine and American comfort, Ling & Louie’s Asian Bar and Grill is your place to unwind, relax, and stay warm this winter season. 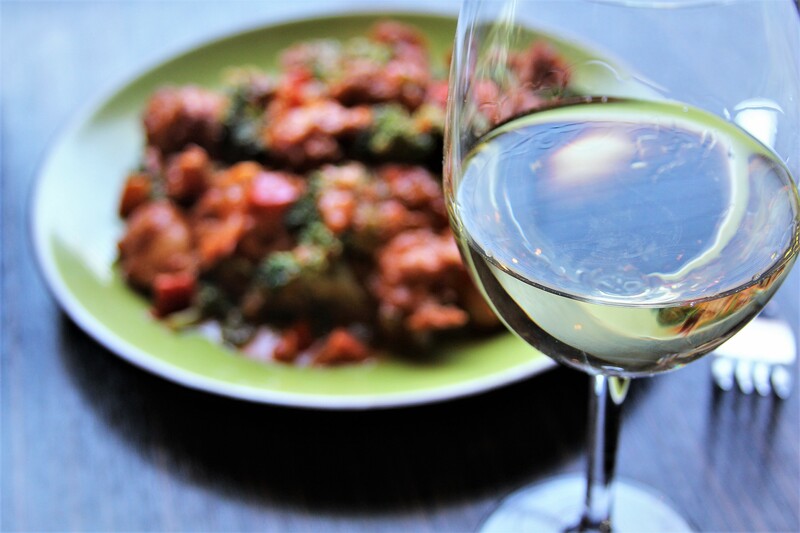 With an extensive menu of fresh and exciting dishes, plus a great happy hour in Meridian with a drink menu full of old classics and exotic flavors, you’re sure to have a nice time. Visit Ling & Louie’s Asian Bar and Grill with your holiday guests, or just come for a quick bite to eat during your lunch break. Winter isn’t coming—it’s already here, and with so many fun outdoor activities this season, the few who would rather stay inside and wait out the snow might wonder what they can do while they pass the time. Luckily, the cold weather doesn’t stop the fun in the Treasure Valley, so whether you want to avoid the cold or just need to take a break from the slopes at Bogus Basin, here are a few fun things to do to keep warm this season. With more time spent inside, you might be a little tired of cooking at home. Fortunately, winter is the perfect opportunity to expand your tastes and explore new places to eat in Meridian. With the population of the area exploding in recent years, new residents are bringing their favorite tastes and flavors along, meaning that there has never been a better time to try something new like sushi, Basque food, or even pizza in a cone. Whatever you choose, keep your tummy warm and full this winter. While football season is drawing to a close, the sports fun doesn’t have to end with the BSU football team’s season. The Treasure Valley boasts other professional and college teams that are just kicking off their season as the temperatures start to dip. Most notably, you’ll find that the Idaho Steelheads hockey team offers a fun night out at the Century Link Arena and the Boise State men’s and women’s basketball teams take over the Taco Bell Arena for some high-flying college basketball. The Treasure Valley is home to a wide variety of local coffee and tea shops to explore and try. From downtown Boise destinations to cafés tucked away in Meridian and Eagle, if you’re ready for a break from the chilly winter air, pop into one of these shops for a warm coffee, tea, or hot chocolate. Also, when visiting your favorite place for a happy hour in Meridian, try something different and look for their hot drink offerings like the Hot Toddy or Irish coffee to warm up and unwind. If you’re really tired of the cold weather, standing next to the roaring flames of a glass furnace is sure to warm you up no matter how cold it is outside. Boise Art Glass is located in Boise’s iconic Bogie’s Building downtown where artists create one-of-a-kind glass pieces by hand. They offer tours and workshops where you can learn about the art of glass production and can even sign up to try your hand at it. Even if you’re not afraid of cold weather and spend most of the winter outside on the ski slopes, we all need a break from the cold every once in a while. Try any one (or all) of these during the winter in the Treasure Valley to stay warm this season. If you’re in the mood for a fusion of Asian cuisine and American comfort, Ling & Louie’s Asian Bar and Grill is your place to unwind, relax, and stay warm this winter season. With an extensive menu of fresh and exciting dishes, plus a great happy hour in Eagle ID area with a drink menu full of old classics and exotic flavors, you’re sure to have a nice time. 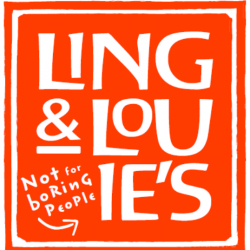 Visit Ling & Louie’s Asian Bar and Grill with your holiday guests, or just come for a quick bite to eat during your lunch break. Anyone living in Idaho with any experience discussing our state with anyone outside of our state has likely found that the conversation and associations are often pretty predictable. When people who aren’t Idahoans think of Idaho—if they do think of Idaho, and aren’t confusing us with Ohio or Iowa—they generally conjure up thoughts about potatoes or the state’s stunning natural beauty and wilderness. Those things are all excellent associations that we should be proud of. However, despite a growing recognition, those outsiders’ thumbnail sketches of the Gem State still rarely include a mention of the reputation that the Treasure Valley is earning as something of a cultural diamond in the rough. Despite that, it’s doubtful that any of us, while out of state, encounter non-Idahoans showering praise on the distribution of superior breweries in Garden City, Idaho. Although they’d have good reason to, as one of the most impressive ways that we’re distinguishing ourselves is a rapidly expanding selection of mainstream, niche, and specialty local breweries. Best of all, this malty influx has yet to sacrifice quality with the quantity of new tastes, styles, and varieties of beer it’s brought. Even the quickest scan of local breweries in Boise alone yields several tempting options. And it’s not just Boise. The craft brewery movement, while certainly not a rare phenomenon in much of the country, has positively blown up in the Treasure Valley. Excellent breweries now dot the landscape in Eagle, Garden City, Caldwell, and Nampa, and seemingly anywhere else in the area there are more than a handful of people and a building with sufficient space for some stills, a small kitchen, and some tables. With breweries like these to visit and also supplying area restaurants with great, local brews, happy hour in Meridian has changed forever. It makes sense as the Treasure Valley is situated in and adjacent to the some of the most prolific hops-growing regions on the planet. And Idaho’s great swaths of rich farmland mean that there’s no shortage of the barley, malt, and other grains necessary for brewing beer. The geographic convenience of ingredients close at hand is complemented by the Boise area’s culture. The area has always been a hub for a diverse and adventurous population. The influx, settlement, and cultural legacy left and continuing to be left by Boise’s Basque, Irish, Chinese, and more recent African and Middle Eastern refugee populations, has turned out to be the perfect recipe for establishing a craft beer-appreciating population. Residents of the Treasure Valley are both diverse and down-to-Earth enough to appreciate, respect, and support a generation of entrepreneur brewers and the product of their craft. It speaks to the area’s inclination to seek out varieties of a comfortable commodity. So whether you’re an old-time Treasure Valley local or a newcomer here for the first time, find a restaurant serving a Payette Brewing Co. “Mutton Buster” Brown Ale, or a Powder haus “Haus” Session Ale and get a far better education in our craft culture. Then order some sushi in Eagle Idaho area to go along with it. Better yet, check out the happy hour menu at Ling & Louie’s Asian Bar and Grill to enjoy sushi, appetizer, and drink specials during the week as well as on weekends. If you’re looking for a culinary experience in the Treasure Valley that’s as delicious as it is unique, you’re looking for Ling & Louie’s Asian Bar and Grill in Meridian. They specialize in a fusion of complex Asian flavor profiles and classic American comfort food that’s not to be missed. Stop in for a happy hour or stay for great sushi in Meridian Idaho, customizable surf and turf plates, exotic drinks, and a fun atmosphere for a night out you’ll never forget. Even before Idaho was designated a state, visitors have been drawn by our natural resources. Initially, that meant hard-scrabble trappers and miners seeking wealth in our vast stretches of pristine wilderness. These days the visitors tend to be a touch less gritty, but they’re still being lured to this uniquely beautiful place to take advantage of the natural wealth we host. Less well-known is that the Treasure Valley offers not only a perfect home base from which to experience our matchless brand of winter fun but it is also an increasingly popular destination in its own right. The greater Boise metropolitan area’s burgeoning art, music, film, and food scene has attracted sufficient attention both nationally and worldwide. So much so that visitors are increasingly as likely to visit for the places to eat in Meridian as they are for the powder at Bogus Basin or Brundage Mountain. Whichever of those options are more to your taste, you’ll find an unforgettable experience in the snow-dusted Treasure Valley. The geothermal activity responsible for Yellowstone’s world-famous geysers and thermal features has given Idaho one of the highest concentrations of hot springs in the country. That natural wealth of warmth means that visitors to the Gem State seeking a soak have a variety of options. In fact, about two to three hours from Boise there are at least 14 hotsprings, most of which are open year-round for visitors. The springs range from developed, resort-level pools featuring paved parking, finefood, and a full bar, to a single natural basin surrounded by a ring of rocks at the end of a muddy hiking trail. And if you have never experienced a soak in a natural hot tub in the middle of winter, that alone is reason enough to visit Idaho. Idaho’s reputation for hosting some of the world’s best skiing is no secret. Here in the Treasure Valley we’re less than three hours from the slopes in Sun Valley, one of the most pristine, popular, and legendary skiing meccas for the global jet set for over 80 years. As Idaho hosts a few dozen ski resorts, big and small, however, those looking to cut some powder closer to Boise can be doing so in under an hour. Just as the diversity of Idaho’s resorts is among the best in the world, so is the selection within them. A visitor to our slopes would be hard-pressed to find a resort that didn’t offer both runs for the first-timer to find their feet and harrowing black diamond pitches for the expert. As mentioned, although Idaho is considerably better-known for our green forests, blue ribbon trout streams, and white slopes than we are for our more cosmopolitan characteristics, that’s been changing. The Boise area has been undergoing something of a quiet renaissance for a while now. Boise’s status as a fascinating place hosting a compelling mélange of cultural influences began over a century ago with Chinese, Basque, and Irish populations settling the area. More recently, we’ve seen a tech bubble that continues to expand at a steady, but impressive rate. Additionally, Boise is home to an internationally-recognized refugee resettlement program. Boise is also a college town and the most geographically-isolated city of our size in the continental United States. The combination of small-town, down-to-Earth Idaho friendliness and charm with culturally complex, diversity-driven, artistic cosmopolitanism has made the Treasure Valley a truly unique and wonderful place to spend a winter holiday. Even if that holiday involves nothing more strenuous than experiencing happy hour in Meridian. If you’re looking for a culinary experience in the Treasure Valley that’s as delicious as it is unique, you’re looking for Ling & Louie’s Asian Bar and Grill in Meridian. They specialize in a fusion of complex Asian flavor profiles and classic American comfort food that’s not to be missed. Stop in for a happy hour in Eagle ID area, or stay for customizable surf and turf plates, exotic drinks, and a fun atmosphere for a night out you’ll never forget. There is a rich and diverse culinary culture and tradition in the Treasure Valley. Whether it’s sushi in Eagle Idaho or pho in Garden City, the following is just a fraction of the ethnic and cultural cuisine you should try in the Treasure Valley. As Boise hosts the largest concentration of Basque people outside of the Basque Country, it has some stellar Basque food. The Basques are a distinct cultural, ethnic, and linguistic community that hails from the Pyrenees between France and Spain. Basque food is like Basque people—complex, welcoming, hearty, unique but with a dash of Spanish and French influence, and incredibly impressive. Anyone who spends any time in the Treasure Valley and doesn’t try Basque out at least once will regret it. Try a chorizo dish, definitely get croquetas, and an order of fries. The potato has played a historical role in Basque cuisine, and it means that they cook a mean basket of fries. Arguably the chief contributor to the culinary renaissance being enjoyed by the Treasure Valley right now is Idaho’s internationally recognized and hugely successful refugee resettlement program. African refugees are one of the largest populations resettling here. Hence, incredibly tasty Ethiopian and Eritrean food. Ethiopian and Eritrean restaurant fare focuses on the presentation of beautifully spiced lamb, beef, chicken, crisp lettuce, turmeric-touched rice, and hearty sauces all served on injera bread. Injera is a soft bread made with teff flour in a fermentation process that achieves a sort of light, doughy, even spongy consistency. It’s hard to explain how good injera is and how unbelievably good it is when rolled around an Ethiopian or Eritrean delicacy. The Treasure Valley has managed to cultivate a fusion subculture combining Chinese, Thai, and Korean culinary traditions with American comfort food in a unique and delicious way. Seek out an establishment that offers freshly rolled sushi prepared by master chefs as well as an array of sake and Japanese whisky for a not-to-be-missed happy hour in Meridian. Whether you want noodles and rice, a wok-fired stir fry, or to enjoy a hot pot, dining in Treasure Valley is sure to leave you satisfied. Kabobs. Sure, there’s Afghan cuisine that’s not kabob-based, but it’s hard to focus on that when kabobs are so delicious. Whether it’s lamb, chicken, or beef, served whole or ground “shami” style, it’s all marinated and spiced so you’re served some serious flavor. Before the kabobs, get an order of the savory sambosa turnovers. It’s all simply unlike anything you’ll get anywhere else. That’s what’s so incredible about the Treasure Valley’s selection. It’s not just that it’s all so unforgettably good, but that it’s all simply unlike food you’ll get anywhere else. A diversity of cuisine that’s as varied and amazing as the people responsible for it. Bon appétit! Ling & Louie’s Asian Bar and Grill in Meridian offers the best Asian restaurant experience in the Treasure Valley. Their menu features delectable food, exotic drinks, and a sparkling ambiance—the perfect setting for a quick lunch, happy hour drink, family dinner, or a special celebration. Stop by for the best happy hour and the most flavorful sushi in Meridian Idaho. Sushi is a Japanese dish that is prepared with vinegared rice (often containing some sugar or salt), and a variety of other ingredients such as seafood and vegetables. Sushi styles and presentations vary depending on the ingredients used and the establishment you’re dining in. Sushi is typically served with pickled ginger, wasabi, and soy sauce to further enhance its taste and deliciousness, as well as help cleanse the palate. Sushi styles and tastes are determined by the ingredients and presentations the sushi chefs incorporate into the roll or dish. Sushi restaurants are specialized and experienced in preparing the best types of sushi that are suitable for everyone’s taste. If you’re looking to enjoy sushi in Meridian Idaho, below are some types of sushi you’ll want to consider trying. Specialty rolls are often more elaborate sushi dishes that may come topped with or contain extra-creative ingredients or sauces. For example, the specialty roll section of the sushi menu at Ling & Louie’s Asian Bar and Grill in Meridian contains creative rolls like the Karma-kaze and The Baconator. The Karma-kaze includes tempura shrimp, cream cheese, and strawberries inside the roll and comes topped with seared tuna, ponzu, eel sauce, tobiko, and Thai basil. While the Karma-kaze has some flavors that might be considered sweet, The Baconator offers savory and spicy flavors. This specialty roll starts with Applewood bacon that is rolled with cucumber and avocado, from there the dish is topped with fresh ahi, tempura flakes, spicy mayo, and eel sauce. A garnish of cilantro completes this roll and helps tie the flavors together. Look for creative specialty rolls such as the ones listed above the next time you want to enjoy a special sushi experience. Classic rolls are just that, classics that offer a dependable and familiar flavor. These popular rolls are often more simple than specialty rolls and feature fewer ingredients but commonly include seafood and an array of vegetables. Familiar classic rolls that you’ll often find on many sushi menus are the California Roll, which often contains a mix of crab, cucumber, and avocado, and the Philadelphia Roll, which typically contains smoked salmon, cream cheese, and cucumber. When you mainly just want to taste the flavor of the raw fish in your sushi, nigiri is what you should order. Nigiri refers to thin slices of raw fish that are served on top of a small ball of rice. It’s not uncommon for the rice to have some wasabi sauce either on it or served alongside it. Common seafood found under the nigiri section of a sushi menu are salmon, shrimp, and a variety of tuna. A sumo roll is a hybrid of a traditional sushi roll and a burrito. It often contains seafood such as shrimp or ahi and vegetables such as spinach, jalapeno, or avocado, and is wrapped up with seasoned rice and soy paper and served with an array of sauces or glazes. Sumo rolls are delicious and tantalizing sushi varieties, especially if enjoyed with some traditional sake or Japanese whisky. Consider ordering a sumo roll the next time you’re enjoying sushi in Eagle Idaho or an area nearby. A happy hour in Meridian is a great place to try out different kinds of sushi, especially if the happy hour you’re attending has specials on food such as classic sushi rolls. When out enjoying different types of sushi, consider pairing your dish with a traditional or flavored sake to further enhance the experience. Ling & Louie’s Asian Bar and Grill is a restaurant in Meridian where “Modern Asian Meets American Comfort.” One of the best Asian restaurants in the Treasure Valley, this establishment features a wide array of delicious drinks and food, from sake and Japanese whisky to sushi and wok-fired classics. Visit Ling & Louie’s Asian Bar and Grill for a satisfying lunch, refreshing happy hour, or to celebrate your next special occasion. Located in the Western United States, primarily in southwestern Idaho, the Treasure Valley is a hub for fun activities indoors and out and a great place to unwind. Both locals and visitors alike can benefit from this guide to relaxing activities in the Treasure Valley. Below are some of the best, most calming ways to spend your time in the Treasure Valley. Whether you want to enjoy a happy hour in Meridian or float the Boise River, this list of fun activities will help you unwind. Take a walk or ride your bike on the 25-mile long Boise River Greenbelt. This two-lane, paved pedestrian and cycling path provides stunning views of the Boise River as well as several parks. Among the parks you will come across as you ride or walk along the Boise River are Julia Davis Park, Boise River Park, and Ann Morrison Memorial Park. As you travel along the tree-lined path, consider stopping at some point to have a picnic at a local park alongside the Boise River. There are a lot of options to choose from when considering places to eat in Meridian, as the city features a variety of restaurants and an array of different cuisines. But since you’re in the Treasure Valley to relax, why not treat yourself to some delicious sushi and flavorful drinks? Ling & Louie’s Asian Bar and Grill, in particular, is a delectable spot where you can order creative sushi, such as a sumo roll, which is basically a hybrid of a sushi roll and a burrito in the best way. This establishment also offers a wide array of flavored and traditional sake as well as Japanese whisky. The restaurant’s intimate atmosphere is a perfect place to unwind while enjoying good food and great drinks. If you’re in the Treasure Valley in the summer months, it’s really worth your time to float on the Boise River. You can either rent or bring your own inflatable tube or raft to enjoy floating the 6-mile stretch of the Boise River from Barber Park to Ann Morrison Park. This relaxing activity can take about 2-3 hours and promises beautiful views of both the Boise River and the surrounding area. Whether you’re enjoying a happy hour in Eagle ID or the surrounding area, the Treasure Valley never disappoints when it comes to local wines, beers, and more. Since you’re in the Treasure Valley to relax and unwind, look for a happy hour at an area establishment that serves local beverages, so you can benefit from drink specials and sip local brews. Some recommended local beers include the Sockeye Brewing ‘Hell-Diver’ Pale Ale, the Powderhaus ‘Haus’ Session Ale, and the Payette Brewing Co. ‘Mutton Buster’ Brown Ale, which are all made in Idaho. Whether you enjoy some (or all!) of the activities above, you’re sure to be relaxed during your time in the Treasure Valley. Plan ahead to make the most of your relaxing time in this region, be it if you’re visiting for a weekend or get to live here year-round.